Review the details of this page carefully. To change an item on this page, click Back and change an option, if needed, before saving the task. 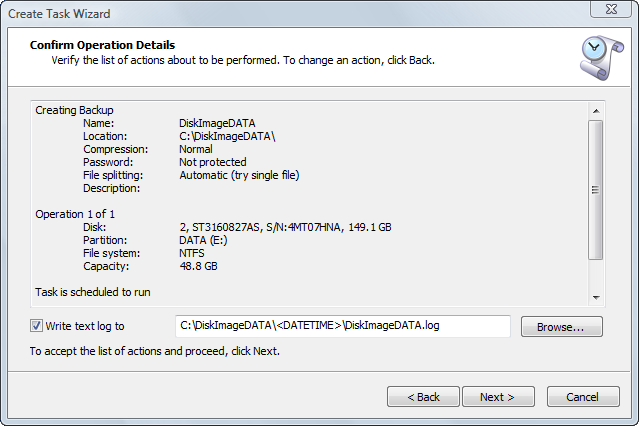 If the backup location is C:\Backups and the backup name is Disk Image, the log name will be shown as C:\Backups\DiskImage\DATETIME\DiskImage.log where <DATETIME> will be substituted with the actual date and time.